Ragnarok has been part of our childhood! Who's a fan here of this amazing online games? Then the long wait is over! 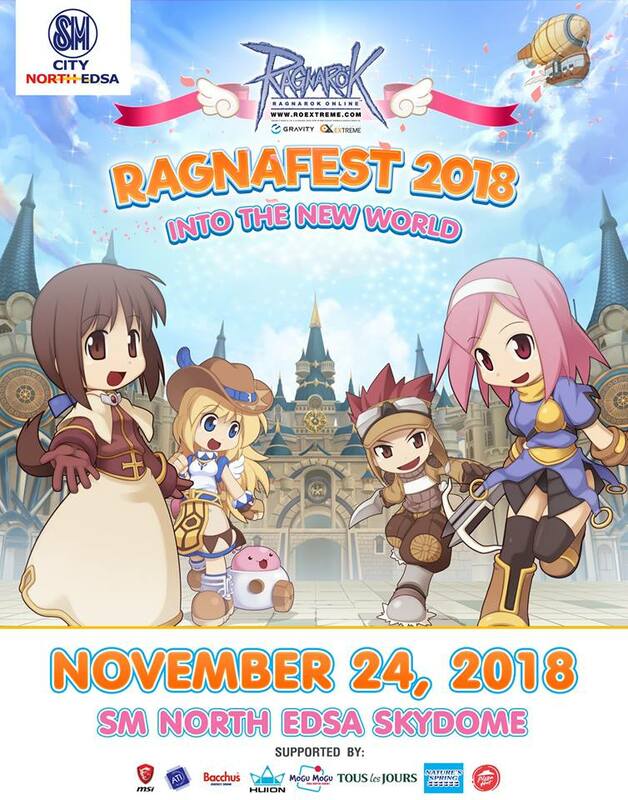 This November 24, 2018, Ragnarok Online players from all over the Philippines gather in the SM North EDSA Skydome to attend Ragnafest 2018, a whole-day celebration of everything that is Ragnarok Online. Players are able to enjoy a full day of games, amazing prizes, and intense competition, culminating with the much-awaited finals of the Ragnarok Philippine Championships, or RPC. As the day goes on, players can win more prizes and merchandise, such as Ragnarok Online shirts, Angeling plush toys, and of course, in-game rewards. “Ragnafest 2018 is the biggest event we’ve had in the Philippines so far. We think that such dedicated players deserve a fun event like this! We’re all looking forward to bigger things to come in the years ahead, especially since Electronics Extreme is coming to the Philippines,” said Tun Santianuchit of Electronics Extreme. Ragnarok Online was the game that started the Massively Multiplayer Online Role Playing Game craze in the Philippines. Launched in 2002, Ragnarok Online, or RO as the players called it, was the first game of its kind in the country, and became a phenomenon. The game had a run of more than a decade before closing its servers in 2015. When the game was relaunched in 2017 under Thai award-winning publisher Electronics Extreme, Filipino fans once again logged in and dusted off their armor. Players and fans once again made it a craze, and the game was shared with all ages, from millenials, young professionals, and to those families who want to relive their adventures. Ragnarok Online continues to be a phenomenon to this day, and will continue to be in the hearts of the Filipino gamers for years to come. So what are you waiting for! REGISTER NOW! REGISTRATION STARTS AT 1PM!